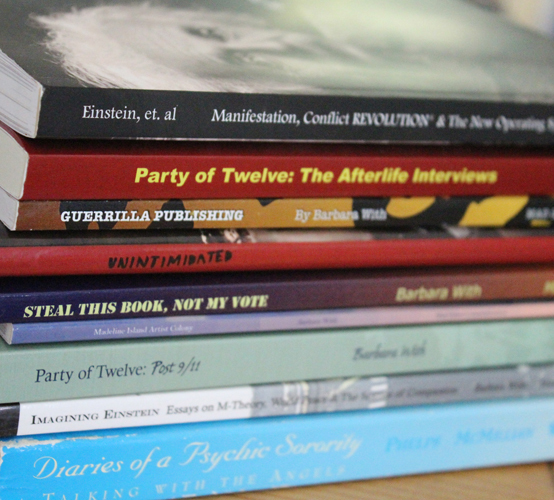 Need help setting up your own Guerrilla Publishing company? For $1499* I will take your finished manuscript** and when we are done, you will have your own small business and your book in your hand! I do not publish your work, you do. Once you have created your own publishing company, you will have the system in place to publish more books and find creative ways to make them work for you. Interior Book Design: Prepare a print-ready electronic graphic of the interior of your trade paperback book using your finished manuscript, including up to ten pictures to be scanned and placed. Cover design and graphics: Design and deliver a print-ready PDF of the cover, including all needed scans. Two copies of your new book. * Copyright, ISBN, yearly distribution, proofs, and file upload fees not included. **Based on a 50,000 word finished manuscript. All services listed above are also available ala carte. Email or call for additional information. These could be your books!